Drawing not only involves what the pencil is doing on paper, but also what is going on in the brain between the mark-making. In fact, drawing begins before the first line is drawn. During my years teaching, I came across students who struggled to draw. I noticed that a common feature of this low drawing ability was the tendency not to look at what is in front but to draw what is believed to be in front. A struggle to draw often comes in tandem with a low visual awareness. Low visual awareness means taking little notice of how things are arranged around us. This might be difficulty in judging the angle of a contour, the size of an object next to another object. An inability to make visual judgments can manifest itself in many ways, such as the inability to hang a painting perfectly level, or to arrange objects in a balanced still life. Visual distortions or optical illusions come in many forms, examples of which can be seen in this image. The impossible trident would appear to have 3 prongs, but does it? The dot in the triangle falls midway up, although it would appear to be higher. The 2 lines within the chevrons run parallel with each other although they appear to converge. And both squares on the upper right are the same size. 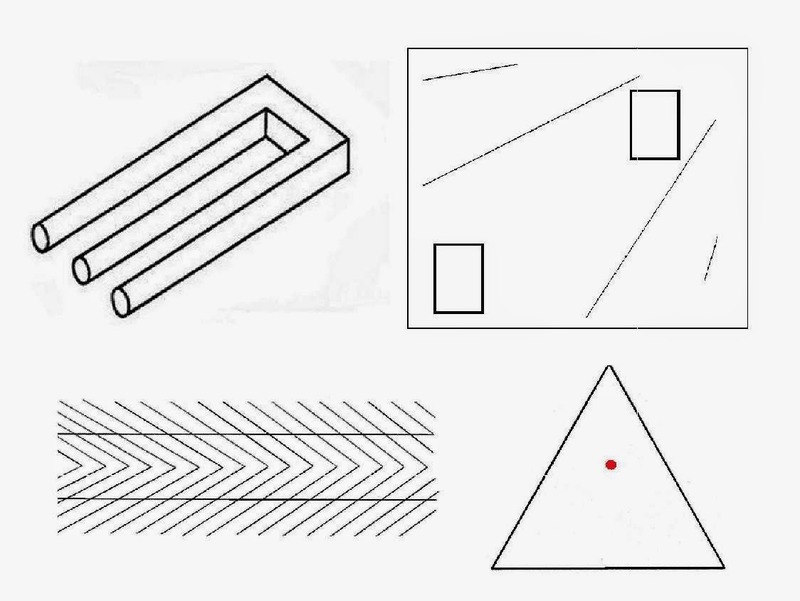 These are crude examples of visual distortions. In fact, such illusions can fool the eye in the most subtle ways which can sabotage the drawing. See my Youtube clip testing your visual alertness - a key to great drawing. You may need to view full screen during the test. My Youtube clip examines the issue of distorted perception when it comes to drawing. A test within aims to give a rough indicator to how prone your eyes are to deceiving you. Get pen and pencil at the ready, as there are 10 multiple questions within. These questions ask for visual estimates of four figures. Simple shapes can be found within the clip which will test your ability to visually judge angles, sizes, the relationship of one object to another and even its tonality. No visual aids are allowed and don’t pause the video. Some questions are more difficult than others. Guessing the right answer does not award a point. Answers to the test are given at the end of the clip. 8 out of 10 or more indicates a keen eye for making visual estimates. You may not need the spirit level to hang that painting, or you may have a natural flair for arranging flowers. 5 – 7 out of 10 and you have good visual awareness, but there is room for improvement. Less than 4 out of 10 and you may have low visual awareness. The size of one object in relation to another (is it bigger, smaller? By what degree? (a half, a third, a smaller fraction?) How does the object’s width relate to another? Is it twice as wide, etc?) 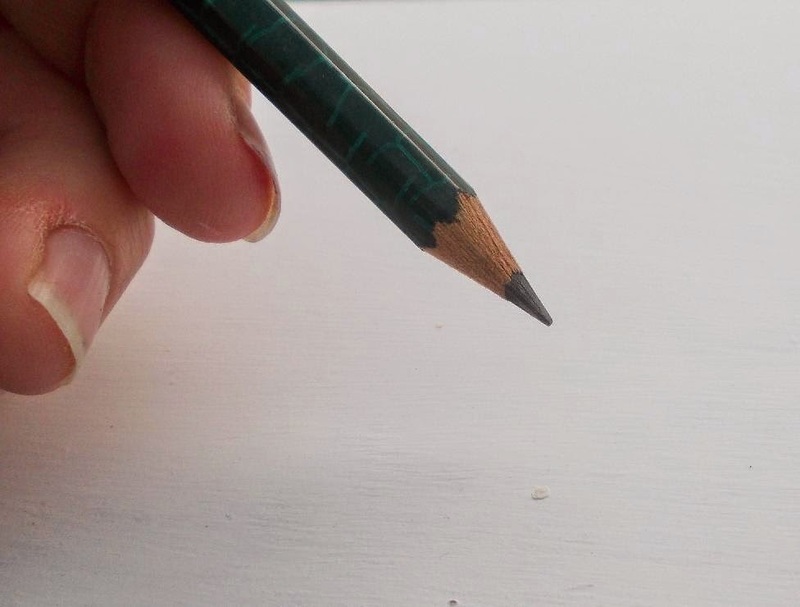 Use a pencil and hold it at arm’s length with one eye closed. This can be used as a visual measuring tool. The position of one object in relation to another (is it higher, lower? And what about the distance between? Estimate the angle of straight lines. Is it fairly horizontal, vertical? Estimate the number of degrees out it might be? The contour of an outline. Is it quite curved, jagged? Does the line thicken in places? Drawing involves setting up an internal dialogue regarding how things look. Question assumptions. Tables do not always appear to have four legs; a drinking cup may appear to have no handle and a hat can look like a tortoise. By increasing your awareness of how things look around us may result in a better score on this drawing test in the future, not to mention drawing. Low visual alertness to how objects look can create a drawing that disappoints. Learning to really look before lowering the pencil to paper can result in a drawing that holds truth. Check how visually astute you are by watching the video clip which includes 10 questions within. A high score would indicate a good eye for judgment. This skill is an asset to drawing. A low score can be improved upon when practicing the skill of looking. Overcoming distorted perceptions means dispelling assumptions about how objects ‘should’ look.